Sea level rise, warming waters and changes in storm patterns area are affecting coastal areas. From the peaceful beach city of St. Mary’s, GA, to the metropolitan mecca of Miami, FL, these coastal communities have one thing in common: they are all seeing effects from the changing ocean. 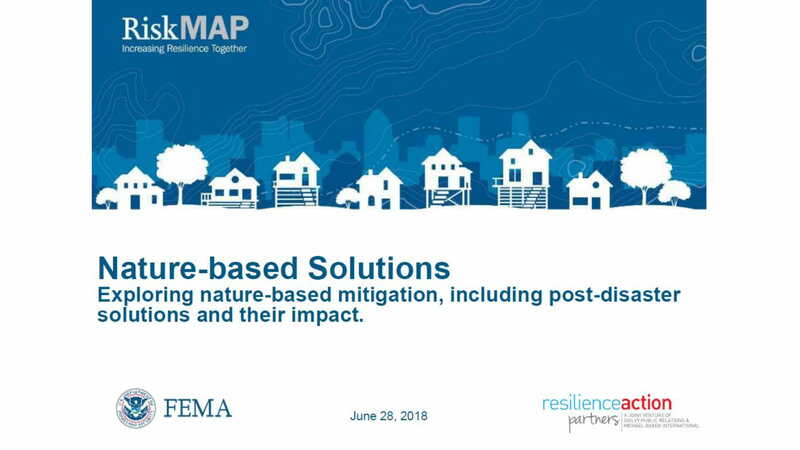 Southeast coastal communities from North Carolina down to Florida have partnered to build understanding of the roles that natural ecosystems have in regards to coastal resilience and planning. Project partners in these four states are conducting in-the-water shoreline erosion control projects to research protection of coastal marshes, barrier islands, coral reefs, floodplains and other habitats critical to natural resilience. In Georgia, local, state, federal government agencies, non-profit organizations, and private citizens are assessing where people and infrastructure within coastal communities are vulnerable to coastal hazards and sea level rise and applying natural solutions such as land protection, shoreline and wetland restoration and flood risk decision support tools. The Albemarle-Pamlico Sound region is home to more than 2.7 million people. Millions more visit the area because of its wide array of natural resources. Much of the area is low-lying, leaving coastal communities threatened by severe storms, coastal flooding, and rapid shoreline change. Between 1980 and 2006, coastal southeastern counties showed the largest rate of population increase of any coastal region in the contiguous United States. As nearshore waters grow warmer, communities may shift; this is specifically true at the population-dense zones around Cape Hatteras, North Carolina and Cape Canaveral, Florida. Pressures for tourism and development often lead to destruction of coastal habitats and bring tidal flow alterations, and amplified inputs of nutrients and toxins, which impact estuarine and nearshore systems. Barrier islands, sand shoals, and riverine deltas are geologically unstable and therefore easily impacted by human activities that diminish sand sources. Channel dredging, as is happening in the Port of Savannah, Georgia, impacts shorelines as sediments accumulate in the deepened channels rather than on the adjacent shores. Also, nearshore sand mining, which occurs in several dozen locations along the east coast, can starve beaches of their natural sand supply in an attempt to nourish other beaches. This can cause loss of some beaches, or they may become more temporary as erosion rates increase. Although sea level rise and storm frequency are typically the primary climate change impacts associated with coastal systems, changes in water temperatures and pH will accompany them. Lower ocean pH due to elevated global CO2 concentrations, also known as ocean acidification, will inhibit processes oysters rely on for shell development. Healthy oyster reefs decrease the number of harmful algae blooms and the associated fish kills and beach closures. A majority of the coastal wetlands lost from 2004 to 2009 were attributed to effects from coastal storms, land subsidence, sea level rise, or other ocean processes. These issues can prove disastrous for local economies and are some of the reasons coastal resilience is at the forefront of our minds and we are investing so much into finding the best all-around solutions for these issues. The Southeast network is a regional solution to coordination and knowledge sharing across the four Southeast US states: North Carolina, South Carolina, Georgia and Florida (including the Florida Keys). Site-based projects throughout the area are demonstrating the feasibility and effectiveness of using preserved and restored natural shorelines as part of an overall coastal adaptation package – conserving wetlands, beaches, reefs and estuaries both today and into the future in the face of change. Projects currently include a range of coastal resilience strategies and natural solutions including living shorelines, community planning, and land protection. For the latest reports, publications and other resources on coastal resilience in the Southeast Atlantic US, visit the Coastal Resilience Resource Library on the Conservation Gateway.